The gorgeous curves and aerodynamic profile of the 48 Sundancer are sure to attract attention. Outfitted with a unique, electric windshield vent system that allows for an unbroken line from deck to roof plus a sleek hardtop with two extra-large sunroof hatches, this ingeniously designed beauty is nothing short of inspired. 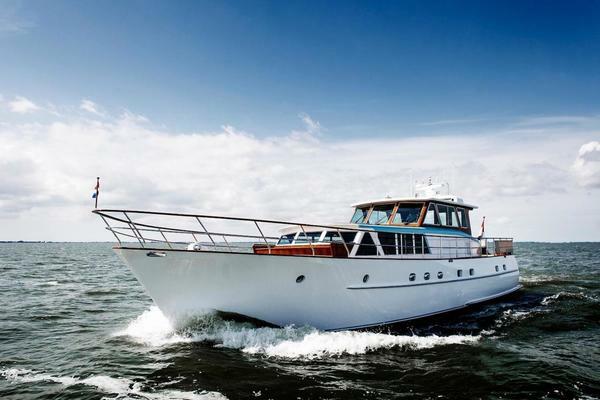 This boats features include teak flooring in upper cockpit, sun pad foredeck w/ back rest, cockpit air w/ generator upgrade, cockpit refrigerator, SAT TV, LCD TV/DVD in cockpit & mid-stateroom, wood galley flooring, washer/dryer combo, Beam central vacuum system, generator sound box, Raymarine E120 GPS/Chartplotter/Radar, Raymarine E120 Chartplotter only, Raypilot ST8002 autopilot, Bow & Stern thrusters, Hydraulic swim platform, underwater lighting on transom and all chain windlass anchor.